(Richmond, IN)--More counterfeit money is turning up in Richmond. 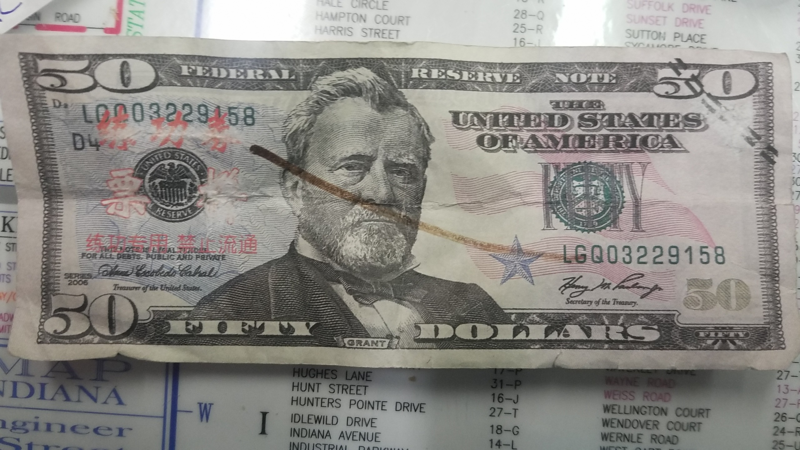 On Thursday night, a man gave a Mercurio's Pizza delivery driver a counterfeit $50 bill on North B Street in Richmond. Police went to the scene of the delivery to search for the suspect. He is known to police but could not be located Thursday night. When he is apprehended, he will face felony charges.